And I'm wondering if it would be better to start with pre-exsisting library codes, or use the new sketch that actually works to start a new library. Regardless! I won't stop till I find an easier way to use my LCD! 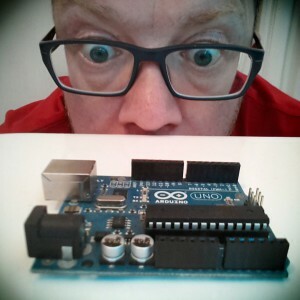 I just ordered my 2nd Arduino, and another 328 upgrade chip, along with some 433mhz RF kits, oo lala! Now to start experimenting, thanks again, very much!! I may be asking later how to add commands to the library. but for now, need to try! Awesome, works perfectly, thanks again! Well while I'm posting to such a skilled coder, haha how do I go about changing the background color? And I would take pictures.. haha I just tried and let's just say my pictures aren't worth nearly a thousand words..